The Lighthouse Alliance Family and Youth Center Thrift Store is now open for business. 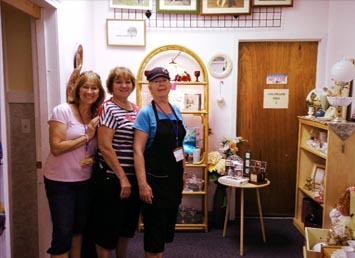 Through your generous donations, we have been providing our customers with quality household items, furniture, appliances, clothing, jewelry, linens, toys, a wide of variety nic-nacs and assorted "treasures". We still need volunteers to staff, sort and display stock. Donations are welcome by appointment. Contact Marian Rinaldo at 609-296-8738 for more information. Pictured from left to right, Joan Neuroth, Marian Rinaldo and Marilyn O'Donnell. We are always looking for volunteers please call Marian at 609-296-8738 or stop in and say hello. Come be a light to shine in your local community. Volunteer today for a fulfilling time of fun and fellowship. Got an hour or two a week to give?